Like many of my crazy ideas, this one started by random chance. I had a chance conversation with a colleague about her milk goats which got us talking about goat milk yogurt which got us talking about yogurt makers which somehow turned into sauerkraut and sauerkraut fermentation crocks which ended up with her offer to pick me up one the next time she goes to the Mother Earth News fair. I know that was a long run on sentence but that’s how my brain actually thinks. Rabbit trails everywhere. I digress, I had no idea Mother Earth News was still around, I vaguely recall my mom talking about it in the 70’s along with Harrowsmith magazine and the Tightwad Gazette, in retrospect it sounds like I had a pretty earthy upbringing. 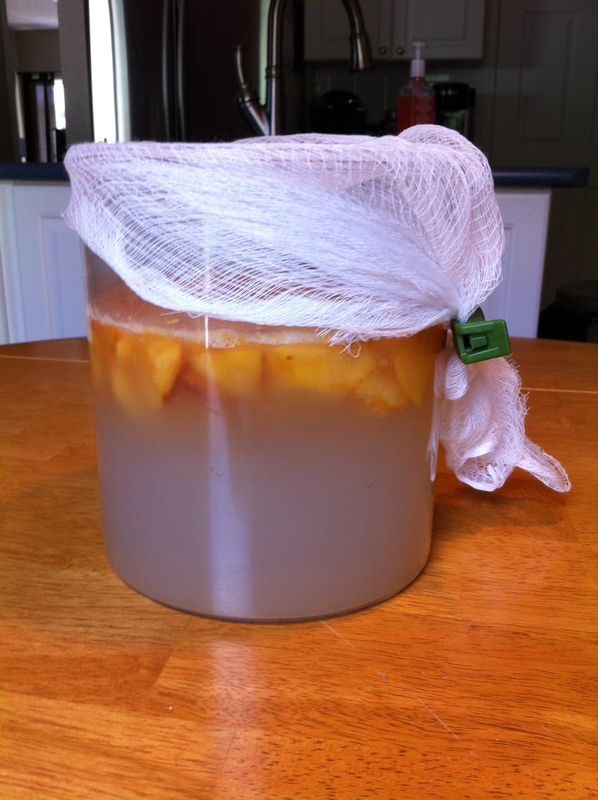 So, I went to facebook and found that Mother Earth News is still very much alive and well, and as fate would have it, they had just posted a recipe for, you guessed it, fermented peach vinegar. Online recipes are the bomb because a) I don’t have to buy cookbooks and b)if I want to make something, eventually I will find a version of the recipe where all of the ingredients are things already in my house. This recipe for peach vinegar was like winning the receipe instant jackpot because I had everything. 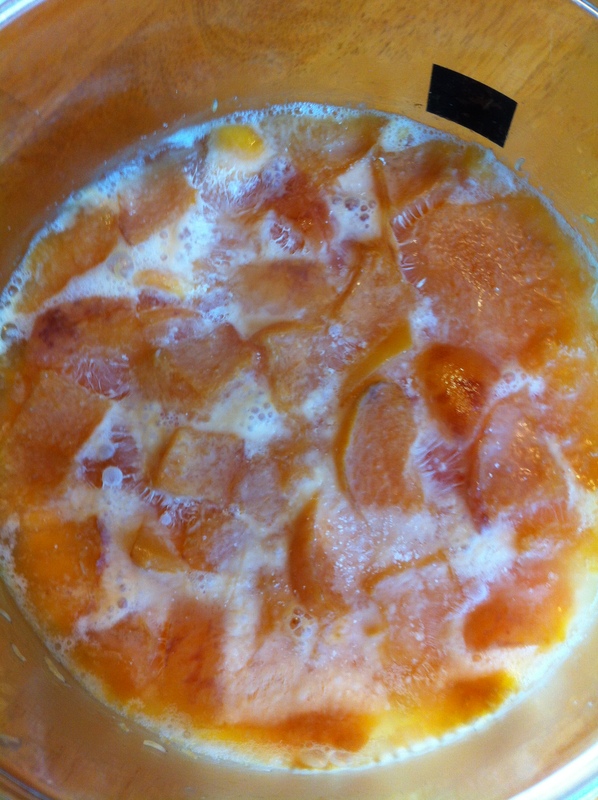 Water, sugar, peaches, a bowl, and cheesecloth. Seems idiot proof right? Now you can find lots of variations of this on the internet, peach vinegar, pineapple vinegar, and a tasty sounding dish called “fruit scrap vinegar”. Some of these recipes talk about things that I’m going to leave for another day because a)I don’t want to scare you off already and b) I need to get a little bit more invested before I start grossing myself out. I’m talking about the MOTHER, which apparently is a thing, probably not unlike the Borg Queen, but for now we can leave mother alone. Second to that is a delightful little thing called vinegar eels. Enough said. I think it’s supposed to look like that. 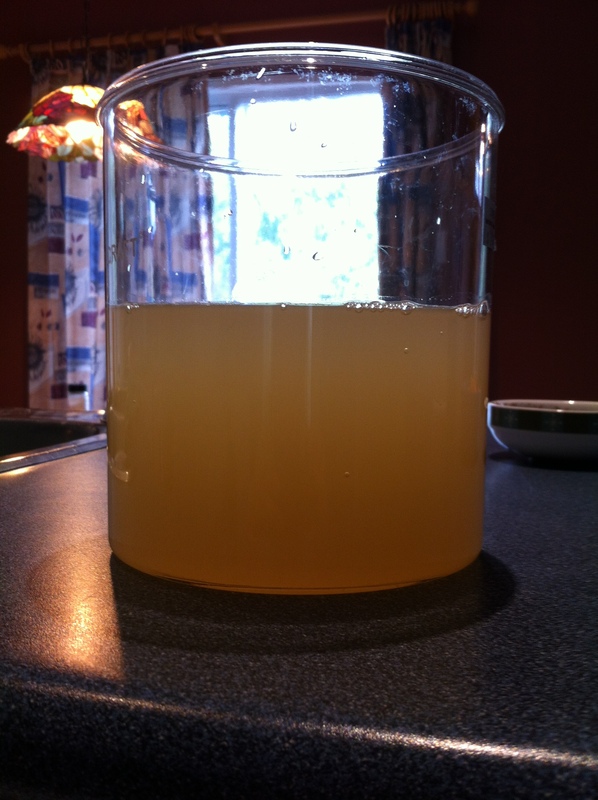 And now it’s been re-covered with cheesecloth where it will sit for “2 to 4 weeks, stirring occasionally. Taste to make sure the mixture has fermented enough to get that vinegar taste” So in two weeks this is going to get real if we are moving from judging by smell to judging by taste. Maybe next time we’ll talk about the vinegar eels.